Paper Doll Romance: Coffee, Anyone? Whether you work, go to school, or are a full-time mom, coffee is a must. Due to our busy schedules, however, we barely have a minute to sit down, relax, and enjoy a hot cup of joe. Since we're always on the go, everything must be instant and portable, which means hot cups and thermoses are a girl's best friend. 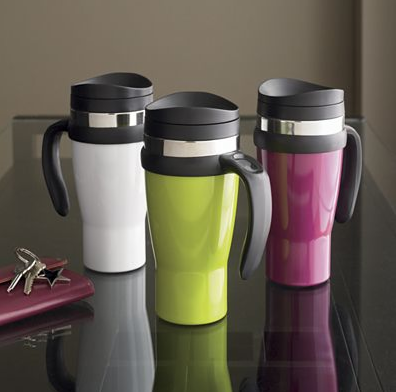 While thermoses and coffee mugs have long been a staple in every household, never have they looked so cute! 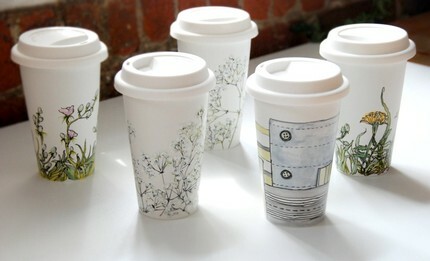 Here is a selection of travel coffee cups that are fun, chic, eco-friendly, and a perfect gift to any coffee (or tea!) lover. We love bright colors (green and pink are our favorite), which is why we're starting off our list with these simple, stainless steel travel mugs by Crate and Barrel. They have a soft grip handle and boast two-hour heat retention, and the different color options means you can get one for every member of your family! 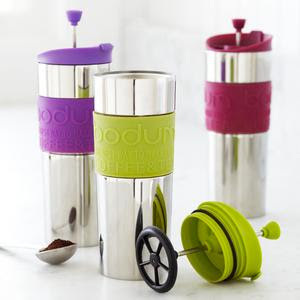 If you want to really save time, then try out this travel press mug which allows you to brew the coffee in the mug. 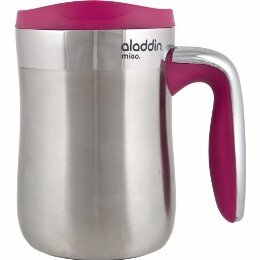 This two-in-one travel mug brew the coffee and simultaneously keeps it hot and smelling / tasting fresh and you won't have to worry about cleaning the pot! Everything is cuter if you get it in matching pairs! 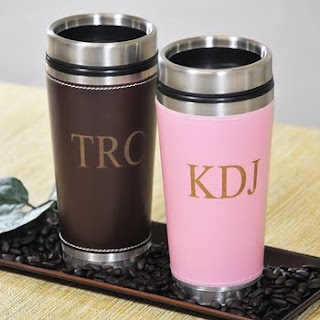 Check out these adorable his and her personalized travel mugs. This will make a cute gift for a new couple, and will ensure that no one fights over which mug is theirs. For a smaller version of the traditional travel mug, try this "desk mug" by Senja. Shaped as a regular size coffee mug, it conveniently fits under most coffee brewers, and can be used for travel or at home! Don't let these low key mugs fool you! Though they may look like a regular disposable coffee cup, they are actually made of a high quality ceramic! Hand painted by etsy seller, yevgenia, these mugs are re-usable, one of a kind, and sure to keep your brew warm and toasty. 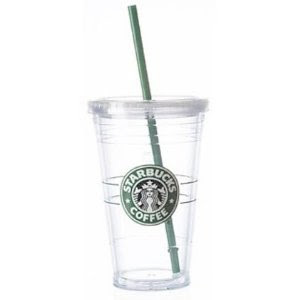 If you love iced coffee, then this clear acrylic Starbucks cup is for you! Durable and reusable, you can make your own iced coffees, or go to your local Starbucks and ask them to fill it up. While the straw can be a little cumbersome to clean, it's super cute and is a must have for any iced frappuccino junkie. You can buy it on Amazon, but it will cost you double then what you'd pay at a Starbucks, so keep your eyes open for this one! Or opt for a non-descript version available at Urban Outfitters. Don't forget to add milk and sugar! I'll promise keep my eyes open for this one! :) Or opt for a non-descript version available at Urban Outfitters. Thanks a lot for such a creative idea. From now, my iced coffee will look interestingly, with your assistance!Hire the most professional essay writing services for any academic needs!